A cell at Souza-Baranowski maximum security prison in Shirley. 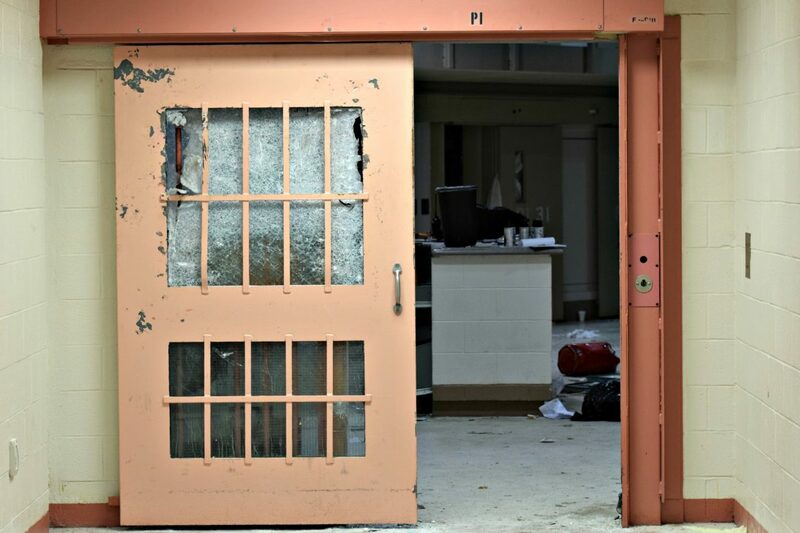 BOSTON — As the number of people incarcerated in Massachusetts state or county facilities declined since fiscal year 2011, state spending on correctional facilities climbed by about 18 percent, according to a report released earlier this week. Since fiscal 2011 — the highwater mark for the state’s incarcerated population — the average daily number of people incarcerated in state prisons and jails has declined by about 12 percent from 23,850 to 20,961. However, state spending for the Department of Correction and the 14 county sheriffs’ offices increased by $181 million to $1.2 billion. The report’s findings were the focus of a summit hosted Monday by MassINC and the Massachusetts Criminal Justice Reform Coalition to examine how the state could spend savings associated with a declining inmate population on ancillary programs like drug rehabilitation and mental health counseling to improve the broader criminal justice system. Indeed, advocates who want the state to invest more in programs to divert people from the justice system, in drug addiction treatment, or community-based work training programs have long been in competition with other budget needs and requests. Massachusetts is faced with a $462 million revenue shortfall in the current year’s budget, and rapid growth in MassHealth and other programs continues to limit available funding. The 18 percent growth rate in spending during the period studied outpaced spending growth for many other parts of the state budget, growing more than 1.5 times faster than the rate of increase for state education aid and twice the rate of growth for general local aid, according to the Massachusetts Institute for a New Commonwealth study. Most of the growth in correctional spending — 84 percent — was driven by new hires and rising employee compensation within the correctional fields, MassINC found. Total employee compensation grew faster than the 9 percent inflation rate between fiscal 2011 and fiscal 2016 at the sheriffs’ departments (20 percent compensation growth) and at the DOC (18 percent compensation growth), according to the report. Cape and Islands District Attorney Michael O’Keefe and Suffolk County Sheriff Steve Tompkins, each a panelist at Monday’s summit, said managing a budget for a correctional institution is not as simple as collecting the roughly $55,000 it costs to house an inmate annually and then reducing expenses if the inmate population declines. “So we let 10 people out of the Suffolk County House of Correction, is Sheriff Tompkins going to turn in $500,000 back to the general fund? No, he has fixed costs, he has union contracts,” O’Keefe said. Widmer agreed that rising fixed costs can make adjusting a budget a more difficult task, but said the report found state spending on corrections grew at a faster clip than fixed costs since FY 2011. Forman suggested that budgeting for correctional institutions should be done more like budgeting for public schools, which like correctional institutions have fixed costs and variable costs per student. Asked about the report Monday afternoon, Gov. Charlie Baker said he had not yet read the report but would comment on it after he had.